Are your feet in need of some serious pampering? 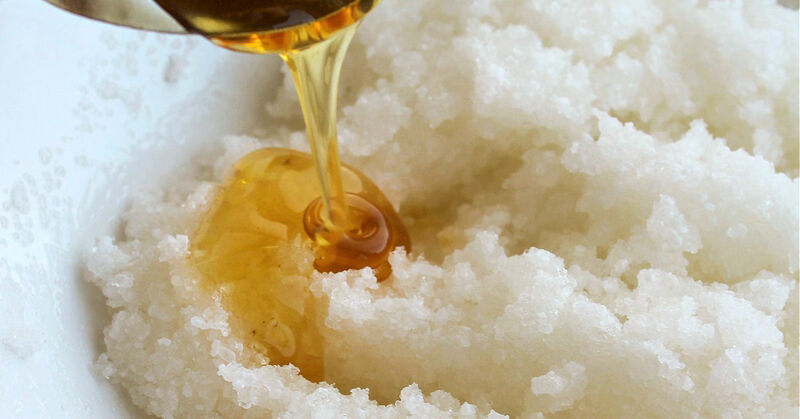 Give this Honey + Lemon Drop Homemade Foot Scrub recipe a try. Your feet will love you for it! This time of year, my feet are always screaming for some serious love. The dry weather always does a number on my skin. While I love pre-made foot scrubs, I also love making my own natural beauty products. So I decided to make a Honey + Lemon Drop Homemade Foot Scrub to give my feet the pampering they deserve. Honey is very soothing and lemon is very uplifting, and they just smell so wonderful together! You can use any quality essential oil in this homemade foot scrub recipe if you want a different smell. I love trying new essential oils combinations. 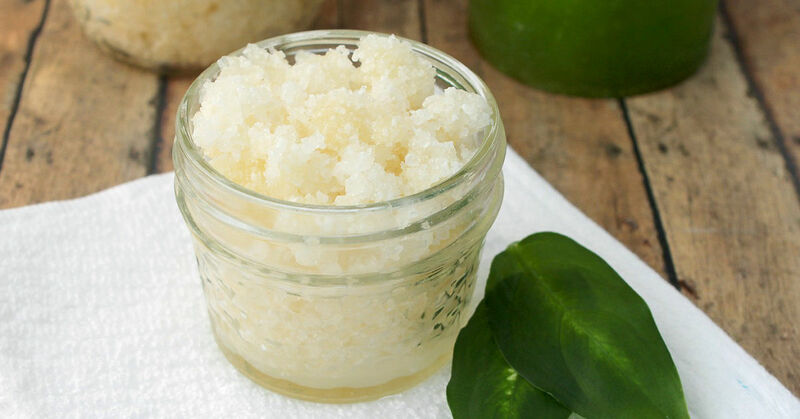 After giving your feet a good rub down with this homemade foot scrub, be sure to moisturize them afterwards as well with a good natural cream. If you do it right before bed, put on socks after you scrub and moisturize your feet, and you’ll wake up with your feet feeling wonderful! If you love giving homemade gifts, this homemade foot scrub would make a great one for so many occasions. You can make about two 16-ounce glass jars or four 8-ounce glass jars with this homemade foot scrub recipe – increase the quantities to make a larger number of homemade gifts. Would you like to make a few DIY beauty products with the same scent combination? 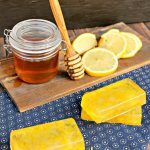 Try our Honey Lemon Face Mask and our Honey Lemon Soap Bars! Or buy a pre-made foot scrub instead. 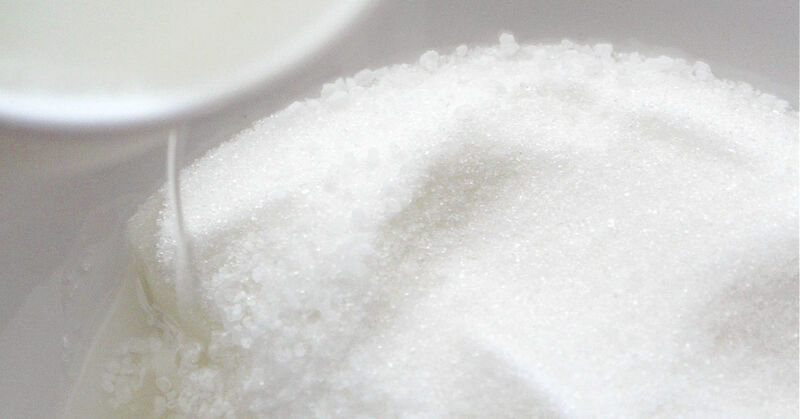 In a medium sized mixing bowl, mix the Epsom salt and organic sugar until they are fully combined. Slowly begin stirring in the melted coconut oil until your mixture is smooth, but not goopy (you may not need to use the full cup of oil, so pour slowly). Next, add the honey and stir well. Finally, mix in the essential oil so the scent is evenly distributed. 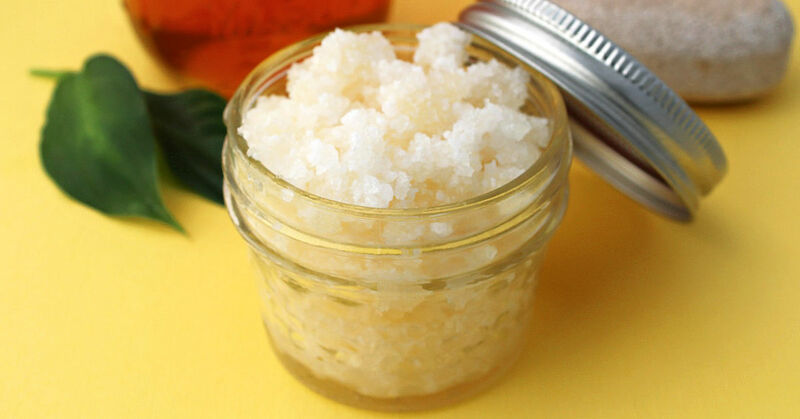 Store your homemade foot scrub in an air tight jar or container. I love using mason jars! 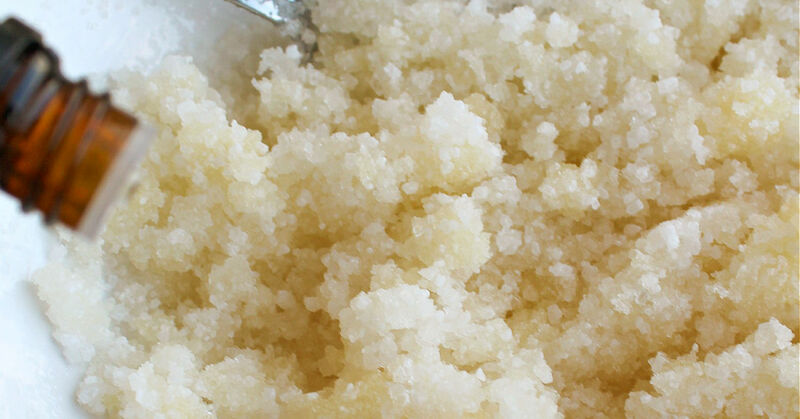 Could your feet use some pampering with this homemade foot scrub? Do you mean which brand or which scent? Im definitely going to try this! How long can this be stored and used?